World Data Products, Inc. is a world-class independent provider of on-demand new and OEM-quality refurbished servers, storage, networking equipment, certified tape media, and related data center services for enterprise-level organizations. 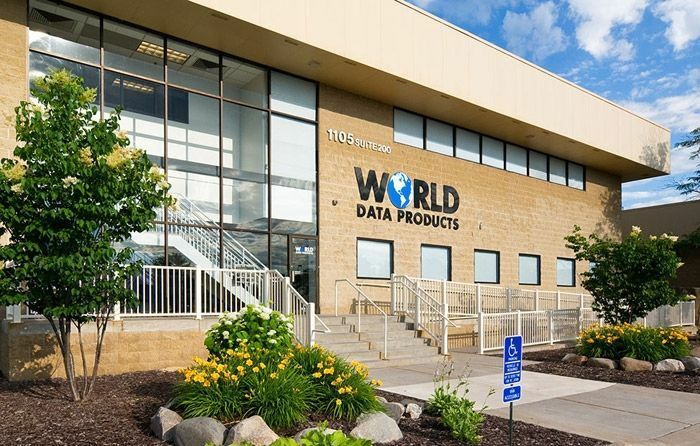 Founded in 1987, World Data Products provides cost-effective solutions for thousands of customers in industries such as information technology, healthcare, education, retail, and manufacturing. Our customer-centric approach to Hardware Lifecycle Management streamlines every stage of the equipment lifecycle. This includes buying, selling, leasing, repairing, and maintaining server, storage and networking equipment. As an independent provider of brands such as Cisco, Dell, HP, and IBM, we take a vendor-agnostic approach to providing IT hardware solutions. By focusing on each customer’s unique requirements, World Data Products delivers flexible and customized solutions that save organizations up to 50%, or more on new and OEM-quality refurbished equipment. Physical inspection validates hardware authenticity and viability. Cleaning removes dirt and debris before comprehensive diagnostics and repair. Complete diagnostics identifies any existing hardware issues. Parts replacement and repair eliminates hardware deficiencies. Testing validates product functionality and performance. Cosmetic Appearance Update refreshes hardware appearance to look factory-new. Final quality control inspection verifies that all products are in factory-new condition and ready for shipping. Customized packaging and shipping ensures equipment will arrive safely and in working order. Warranty eligibility: World Data Products provides an industry-leading warranty and most reconditioned products are eligible for manufacturer’s maintenance. Learn more about our world-class refurbishment process and ISO 9001:2015 Certified Quality Management System. World Data Products is a member of ASCDINATD (Association of Service and Computer Dealers International and North American Association of Telecommunications Dealers) and UNEDA (United Networking Equipment Dealers Association). In partnership with ASCDINATD and UNEDA, World Data Products sets high leadership standards to eliminate counterfeit hardware and fraud in the secondary market. Company President & CEO, Neil Vill, is the Past Chairman of the Board of Directors for ASCDINATD and also chairs its Anti-Counterfeit Committee. Ready to discuss the next server or network refresh, or is it time to sell some decommissioned hardware? Call us today at 1.888.210.7636 or use the contact form here.